Why a Fish Replica ? 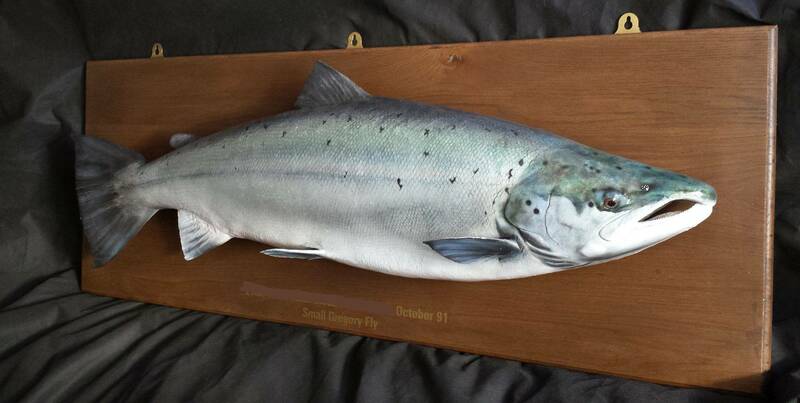 Why choose a replica from Fish re-creations ? The most obvious advantage is that the fish is released to fight and grow another day, these days big fish are becoming harder to find, and some species are in decline. Catch and release polices are now in force on many waters worldwide. Once a mold is taken from a dead specimen, countless numbers of casts can be taken from that one mold, meaning no more fish need to be taken. Fish replicas have been made in the USA for many many years,resulting in a huge choice of casts (blanks) to choose from. No ugly shrinkage that can be associated with some poorly done traditional fish taxidermy mounts. No grease bleed associated with some poorly done traditional mounts, all Salmonid and all salt water species are notorious for "grease bleed ", their heads and bodies are packed with natural oils that are all but impossible to remove completely, If undertaken at all, skin mounts of these species in particular should ideally be built with artificial heads and adipose fins. No moulds, insect infestations or other deterioration that can be associated with some poorly done traditional fish taxidermy mounts. A good recreation will be indistinguishable from a traditional fish mount, in fact it should look better ! Recreations are much more robust than traditional mounts, handy when life hands out knocks and bumps. Comparable pricing compared with traditional fish taxidermy .